General Zod, who is generally depicted as the fascistic leader of Krypton's military forces, makes his debut in this new and amazing extended trailer for this Monday's season finale of Supergirl! "I'm on the brink of having everything I ever wanted," Supergirl says, as we see her deep in though as she flies above National City. "Family. Friends. A job that I love. A life as a hero I never could have imagined. And Mon-El. If I beat Rhea, I get to keep all that." 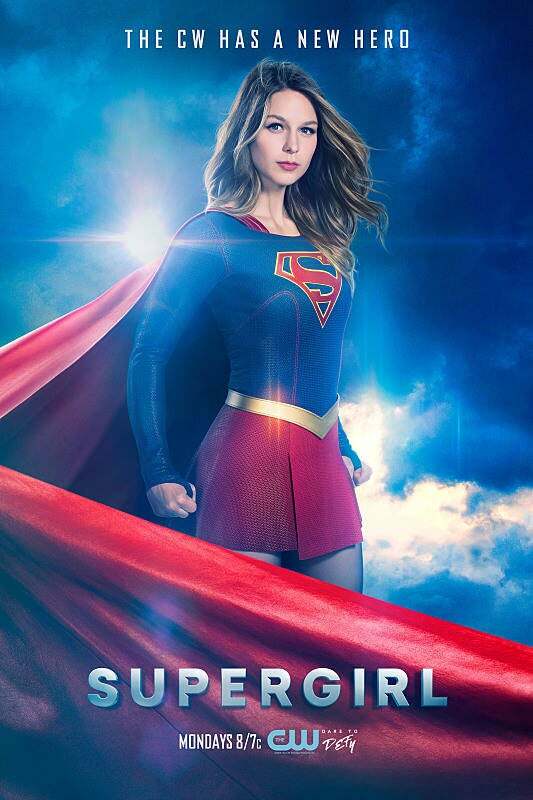 Believing she has only one choice to rid Earth of Rhea and the rest of the Daxamite army, Supergirl send the queen a message, invoking trial by combat. "May the fate of my people rest on the fate of my life." However, near the end of the trailer, we also get a transmission from General Zod (played by Mark Gibbon), whose eyes glow white. He menacingly says, "The people of this planet will kneel before me." Glen Winter directed the episode with story by Andrew Kreisberg & Jessica Queller and teleplay by Robert Rovner & Caitlin Parrish.